Fight like the last time and become the hero! Your main task is to explore the area and kill everyone, who is trying to attack you! Use all tips and be sure that you will do it! Spend your time with pleasure and benefit! 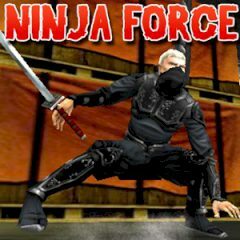 Just imagine that you are the most powerful ninja! Try to kill all foes that are coming. Use the arrow keys to move, X to jump and Z to fight. Do you think it is so easy? Defeat all opponents as you race to find the big boss. No-one can stand against you! Use your ninja skills to run across walls and leap massive games as you travel through shipping docks, slip through buildings and leap across the roof tops. Use your sword and shrieking to take down your enemies, making your way to a final confrontation with Boss Ninja. Enjoy the game!